Restaurant Week Returns to New Brunswick! For foodies and casual diners alike, New Brunswick Restaurant Week 2017 is coming up fast. Over 20 of the best restaurants that New Brunswick has to offer will be holding special promotions. Whether your passion is for a great steak or perfectly cooked pasta, you can try a new restaurant every night. 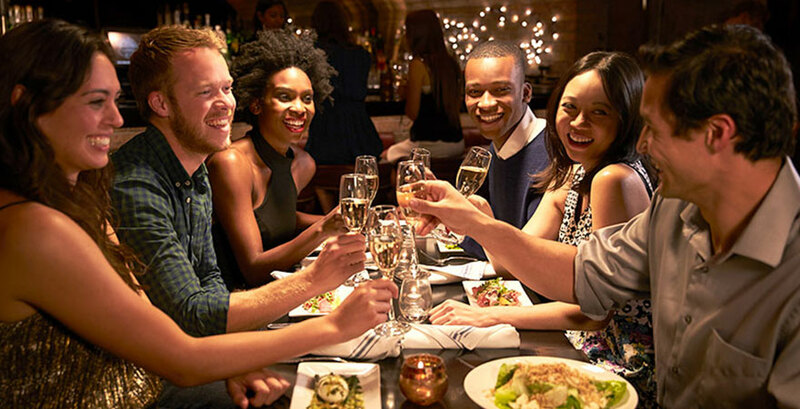 The diversity of restaurants in New Brunswick City Center are the perfect excuse to get out of the kitchen for a night downtown, whether you are in the mood for an old favorite or some new flavors, there is something for every palate. In the mood for a delicious steak or piece of meat? Stop by Stage Left located right next to State Theatre New Jersey! Visit Stage Left during New Brunswick Restaurant Week 2017 for a 3 course meal for only $39 that includes their amazing wood-grilled flat iron steak and delicious ricotta gnocchi as options. Want to know why The Frog and The Peach was voted the best restaurant in New Jersey for 2017 by The Garden State Culinary Arts Awards? Now is your chance! With a 3 or 4 plate lunch and dinner special for New Brunswick Restaurant Week 2017, and a special pre-theatre menu when you come before a State Theatre performance, you can't go wrong with The Frog and The Peach. Join us for 15 delicious days of food starting on July 8 and continuing through July 22. List of participating restaurants and their specials can be found at www.NBRWeek.com. Dining Packages Available for Upcoming Shows—Enjoy a delicious meal at one of New Brunswick's best restaurants and save! Purchase a $20 dining certificate and receive $25 worth of dining. Additional info can be found on our Dining Page.